You Don’t Even Know It! If you’re like most well owners, you assume that as long as your well water doesn’t smell, taste or look funny, then it’s perfectly safe to drink. If you are like most well owners, then there’s a good chance you could be wrong. 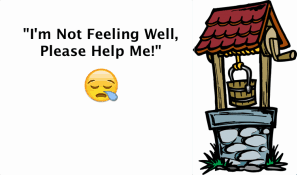 …unless you test your well water, you wouldn’t even know it until it’s too late. The most dangerous contaminate in your well water is bacteria. …they assume that bacteria are present and may be at a high enough level to be harmful to humans and pets. They test the treated water every day to make sure there isn’t any residual bacteria above the government standard still in the water. The most common treatment they use is chlorine. It’s low cost, safe and effective. These attributes are why most water treatment systems in the U.S. and Europe have been using chlorine for disinfecting drinking water for nearly 100 years. The U.S. Centers for Disease Control and Prevention (CDC) says that approximately 2/3rds of the world’s population have this bacteria. While it might not actually cause you to become ill, it is a major risk factor for peptic ulcer disease and it is the primary cause leading to ulcers of the stomach and upper small intestine. The International Agency for Research on Cancer had classified H. pylori back in 1994 as a cancer-causing agent, or carcinogen. Since that time, it has become increasingly accepted as an important cause of stomach, or gastric cancer and lymphoma in the gastric tract. So, what do you do to protect yourself from the ‘hidden’ bacteria? Sanitize your well using a solution containing chlorine—the same solution you use if you discover bacteria after having your water tested. When you sanitize your well, you eliminate or reduce not only the harmful bacteria, but also slime-forming bacteria that are not necessarily harmful to your health, but are harmful to your pipes and makes your water smell bad—you know, the ‘rotten egg’ smell. We have decided that it’s about time we give homeowners the secret to the right way to treat their well and give them all the tools they need to do-it-yourself. Our lab director came up with this method back in 1989. Since then it has been adopted by professionals in the business and has been recommended by local health authorities as the right way to treat wells. If you go to a professional and ask them to treat, or ‘shock’ your well, you’ll spend a minimum of several hundred dollars…and, most likely, they won’t do the job correctly. Now you can treat your well easily and cost effectively so that the water is safe to drink and it doesn’t have any ‘funny’ smell or taste! Our instructions are easy to follow even if you have never chlorinated your well before. 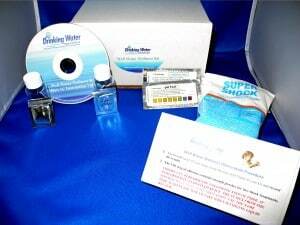 Before we ever put this kit together for sale, we gave homeowners our Well Water Wellness Kit. They had never treated a well before. This helped us refine our instructions so any homeowner can follow them even if they don’t consider themselves to be handy. Not only will you do a better, more complete job than the ‘professionals’ you could hire, but you will save a lot of money. 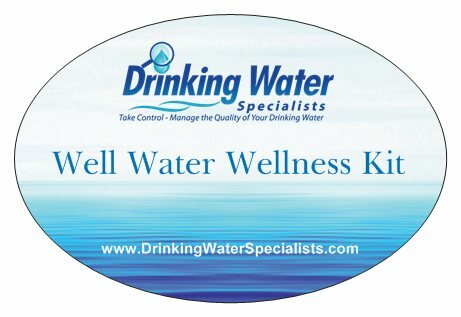 The Well Water Wellness Kit only costs $79, including shipping! Compare that to the several hundred dollars the professional would charge you. Your Well Water Wellness Kit Today! If you decide you do not want to sanitize your well and wish to return the kit, unopened, within the first 30 days of ordering the kit, we will refund your purchase price, less a 10% restocking fee.